When first researching homeschooling, I purchased a popular book about the Classical method. 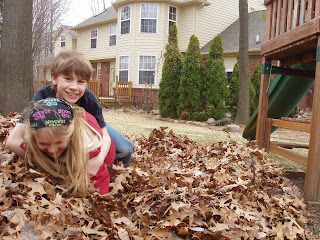 I was convinced that this would be the best method for our upcoming homeschool. I gathered material with this method in mind, but eventually morphed the method to the point that is was no longer recognizable as Classical. It is a that point that I started referring to myself as an eclectic homeschooler. I take what works from various methods and leave the rest. While I'm not a Classical homeschooler, I do play one on occasion, and slip in Classical resources into our homeschool as I see the need. One supplier of Classical resources that I've admired in the past is Memoria Press. "Memoria Press’ educational philosophy can be best described as classical Christian education. Classical Christian education is the cultivation of wisdom and virtue through meditation on the Good, the True, and the Beautiful. This is accomplished in two ways: first, through training in the liberal arts; and secondly, through a familiarity with the great books and the great thinkers of the Western tradition." A variety of resources for the Classical homeschool, including print, DVD and online resources, are available from Memoria Press. For review, I received Traditional Logic 1, Introduction to Formal Logic and Famous Men of Rome. Traditional Logic 1 ,used either as a one-semester or one-year course, is an introduction to traditional logic, with methodology developed by the ancient Greek philosopher Aristotle. It introduces the three-part approach to teaching logic: the study of words and ideas, the study of statements, and the study of deductive inference. Traditional Logic 1 is an in-depth study of the classical syllogism, e.g. "All A is C; all B is A; therefore all B is C."
This course is not a study of modern logic, which is mostly the calculus of propositions. It is also not a study of informal logic, the study of fallacies. Instead the course is an introduction of formal logic, which deals with the structure of arguments. Traditional Logic 1 will prepare students for the more advanced text, Traditional Logic, Advance Formal Logic, which deals with simple and complex syllogisms, and Memoria's Material Logic course. A complete Table of Contents can be viewed here. A sample chapter and explanation of features are also available. One of the main goals of my homeschool is for my children to learn how to think and discern what is true. One way to accomplish that is to study logic. With this goal in mind, I had taken note of Memoria's Traditional Logic about a year ago and happily gave it a spin with my 12-year-old daughter for this review. I've never formally studied logic, making it important to have a program that was easy to use and teach. Memoria's course certainly fits that criteria. There was no prep work to get started and the course can begin as soon as the materials are removed from the shipping box. The presentation, layout of pages, and daily assignments make Traditional Logic 1 very teacher-friendly. Even so, I really appreciated having the DVD set to use in combination with the book, which truly makes this a self-study course. The DVDs are not a stand-alone product; they are meant to be used with the text. The DVDs are directed at the student and feature author Martin Cothran. Each lesson's material is covered thoroughly, utilizing slides and on-screen graphics. Each chapter is relatively short (3-6 pages). A daily assignment is given four days per week with a variety of activities, e.g. fill in the blank, short answer, true and false, definitions, completion of charts and diagrams, that require the student to further delve into the material. My daughter was able to complete the work on her own and I'd simply use the key to check her work. I would recommend Traditional Logic 1 to anyone looking to add the study of formal logic to their homeschool. Traditional Logic 1 offers an easy-to-follow and non-intimidating presentation for those who have never studied logic, but does not do so at the cost of academic quality. This 160-page text includes 30 stories of the famous men of Rome and the the rich history which surrounds that time. Rome is considered the "model civilization" and its study is not only exciting, but gives students a better understanding of modern political history and prepares them for later study of great books, which often refer to this time period. The Famous Men of Rome Set comes with a text, Student Guide and Teacher Guide. Most of the stories range from just a couple of pages of text to 5-6 pages. Throughout the book are gorgeous color pictures. Memoria Press commissioned 30 oil paintings of the significant events in the Famous Men of Rome to be included in this updated text. The text can be used either as a stand-alone for pure reading enjoyment or with the workbook. The workbook is meant to be a year-long study. Each story is covered in the workbook with sections titled Facts to Know, Vocabulary, Comprehension Questions and Activities. The Teacher Guide is identical to the Student Workbook, but with the answers over-laid onto the page. This was a really nice feature, since it didn't require the parent to match up answers with the workbook. The Facts to Know section contains a review of key people and places. Each Vocabulary section has 10 words to define, presented as it is contextually in the text. Five to ten comprehension questions are included in the Comprehension section. The Activities section includes map work, discussion questions, time lines, and art projects. Many of the discussion questions could also be given as composition assignments. There are five review lessons incorporated into the workbook to make sure students retain the information. "Research the economy and religion of Carthage at the time of the Punic Wars. Contrast these with the religion and economy of Rome." "Draw a picture of the battle between the Horatii and the Curiatii on drawing pages in the Review lesson." For younger kids, the parent could pick and choose what part of the workbook to cover. For example, reviewing the Facts to Know and verbally asking the Comprehension Questions would accommodate the non-writer. Completing all of the workbook sections would give a more thorough study for older students. By selecting appropriate levels, accommodation for several students of various ages would be quite simple. To see all that is covered, view the Table of Contents. You can also see a sample story from the text, Horatius at the Bridge. My 9-year-old son has been interested in Roman history for a while. While I thought that the guides were very well-done, I decided to first let him just enjoy reading the stories and narrate back to me. Most of the stories were new to him. They were short enough that he could complete a story in one sitting, furthering his enjoyment. Once all the stories have been read, I'll have him go through them again and make a complete study of it. Because of the variety of questions, I can see revisiting this text and utilizing the workbook at different levels each time. For now, I'm simply letting him enjoy the beautiful text. Both Traditional Logic 1 and Famous Men of Rome are available as an online course through Memoria Press Online. You can read more about the online offerings here. Memoria describes their products as being characterized by three things: simplicity, quality, and affordability. I could not agree more! Their products are easy to use, while remaining academically rigorous. I was pleased with the quality of both the product and the customer service. Lastly, the prices are affordable to homeschoolers and the products a good value. If you are a Classical homeschooler, or just pretend to be one sometimes, Memoria Press is sure to have some great resources for you. Visit the Memoria Press website to check out their resources, including Latin programs, Christian Studies, copy books and more. All Memoria products come with a 60-day guarantee. The TOS Crew members received a variety of items, so be sure to check out the Official TOS Blog to read reviews on other products offered by Memoria Press. My daughter was invited to an 80s birthday party this past weekend for a friend turning 13. First of all, I'm having issue with my daughter having friends that are teens. I won't be mom to a teen for another 9 months and I'd like to remain in denial until then, thank you very much. 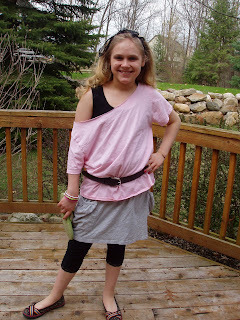 Secondly, when the style of clothing that I wore as a teen is now used for costume...oy. It makes a person feel a bit old. Anyhow, I have to say, I thought my daughter looked quite adorable. I found the skirt, a size XL shirt (for the baggy look), and black tank top at the Salvation Army. The shoes and leggings were already owned and the black belt was borrowed from Dad. My husband did a double take because she looked just like his sister back in the day! Oh, and the hair...can you say AquaNet? You can't tell how ratted it is in the back in the picture, but there was some big hair going on. My daughter kept on smoothing it down because it was "sticking up" and my husband and I would tell her that was how it was supposed to be. I even tried out the wing thing on the sides. Remember taking hair spray at the temple and backcombing it? 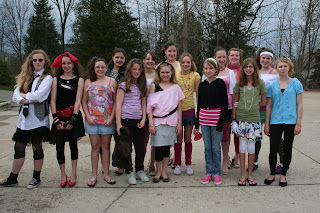 I have no idea why we thought that was fashionable. My daughter thought we must have been truly nuts. However, her normally stick-straight hair won the "best hair" contest at the party. ... and the adult drivers. A scavenger hunt sent the girls in search of a PacMan game, a Breakfast Club DVD, fun dip, nerf balls and more. They even had to break dance in a public place with an audience, stand under the McDonalds' sign making an "M", and do the moon walk in front of Starbucks with an employee. 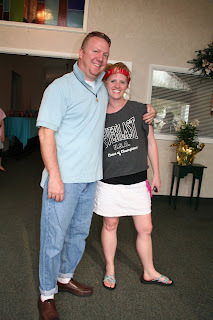 Both of the adult drivers were appropriately dressed for the occasion, which was a hoot. I don't know that I would want to relive the 80s (does anyone want to relive their junior high years??? ), but it was a ton of fun revisiting it for an evening. For those of you who have been reading my reviews this year, you've probably noticed that I can be pretty detailed. I try to explain the product well, assuming my readers don't know much about the product, and then share how it worked in my personal homeschool. However, I'm going to do this review a bit differently. Because I could take pages describing this next product, I'm instead going to mostly direct you to descriptions and samples at the website and spend more time telling you how the product worked for me, what recommendations I have and how I see this product fitting in other homeschools. Up for review is Tapestry of Grace (TOG) by Lampstand Press, a literature-based curriculum that covers the humanities: history, church history, literature, geography, fine arts, government, philosophy and writing & composition. TOG is a Christian curriculum which follows a classical approach to education. To get a better feel for what this curriculum is about, you can read all about the philosophy, getting started, planning and support here. Though I had some familiarity with TOG, I never had the opportunity to see it prior to this review. I was quite excited at the chance to check it out, especially since it had been mentioned as an alternative to programs I had used in the past. I selected Year 1, Unit 4: In the Fullness of Time (the Roman World) for review. I also received the supplemental Evaluations CD. Because of the current economic conditions, TOG has made the decision to go digital with their product, DE (digital edition). I was curious how this would work given that this product is massive. One single unit, intended to be used for 9 weeks, is around 450 pages. Furthermore, TOG is using a third party software product called LockLizard, which prevents users from infringing upon copyrights. What Locklizard means to you is that this product can be viewed from only one computer and you cannot put it on a memory stick to take to your local copy shop to print. There is an option for copy shops to call in and get a temporary license to print for you. I can't speak for the ease of this since I used my personal printer. Some of you may be wondering if it is necessary to print this product. While seasoned TOG users may be fine using just their computer screen and selectively printing, I would not recommend this for new users. In fact, I highly recommend if you are new to TOG that you plan to either be stocked up on print cartridges or purchase the print edition. At the very least, print a few weeks initially to get a feel for the curriculum. At that point, those who like typically like digital products might be able to get by without mass printing. Whether or not to print the DE seems to be an often asked question and the pros and cons have been addressed at the TOGblog here. The cost will vary depending on the product purchased. Four Units make up each year and can be purchased individually as a digital edition for $45. However, the whole Year package can be purchased for $170. Alternatively, you can get a print edition for $225 or get both the print and DE in a combined package for $270. The supplemental Evaluations CD costs $15. Be aware that you may not resell any digital TOG product (even the DE printed version). However, the product is yours to use indefinitely throughout your homeschooling years. Should you switch computers or lose a hard drive, any past purchase can be downloaded from your account on the TOG site. "Don't worry about a hurricane or hard drive crash! Your Digital Edition is safe no matter what happens to your home or computer. 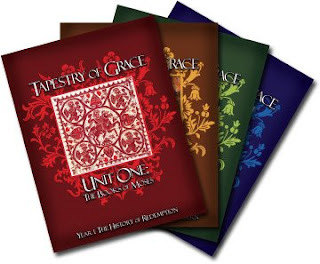 Each Tapestry of Grace Digital Edition is yours for life--including all upgrades to that Redesigned product. You can download the latest version at any time for no charge, or order any Digital Edition product you previously purchased on CD for $1 per disc plus a $4.00 shipping and handling charge. The new Lampstand Press Store records all your orders so that you can go back at any time to see what you bought and download it again for free." Most TOG users consider the purchase cost to be an investment. The design of TOG is that each unit is to be cycled through multiple times by multiple students. Once you've purchased all four Years, you just need to buy the different book titles at each level. Lampstand Press warns new users of a 4-week fog when starting their product. I have to agree, with the exception that the digital product makes the fog more dense and longer to lift. I simply could not figure out the product on screen because there is so much information. I ended up printing a week at a time in its entirety, a mammoth 50 pages each, to get a grasp of the curriculum. Once printed, it took quite a bit of reading and page flipping before I even started to get an inkling of what to do. My first stumbling block was that there is no daily schedule provided. Reading assignments are given by the week on a table that lists different assignments depending on the level of the student. There are no checklists, but there are recommended readings and a list of alternative titles if you either want to supplement or can't find a title. There is also not an easily found book list, but lists are available at the TOG website in the area called the Bookshelf. In this part of the website, titles can be purchased but it is also designed to be easily printed to take to the library. You can find a book list for the Unit I reviewed here. Acquiring titles may be difficult, especially if you don't have a well-supplied library. I would recommend that you purchase any titles that are repeatedly used throughout the unit. Using a title you own on the same subject or using www.mainlesson.com for reading material may also be an option. I found that quite a bit of planning was required to get started, even after the fog started to lift. TOG is definitely not an open-and-go curriculum. There are support materials located at the portion of TOG's website called The Loom to help plan, including sample schedules and templates. Once a basic plan was made and titles acquired, I recommend just jumping in and getting started. Starting with just one section and add as you go along will help get accustomed to the curriculum. The amount of information, which includes levels for K-12, can be intimidating. However, there really isn't a wrong way to use TOG. The learn-as-you-go with full understanding that users are to modify the program to their family is the best way to keep from getting overwhelmed. There are some titles that are to be read aloud, but a fair amount of the curriculum is for students to read on their own throughout the week. If your child doesn't like to read, this may not be the curriculum for you. Also integrated with the reading are hands-on activities, writing assignments and, mostly for the older students, discussion questions. Start with the Primary Resource materials and add on from there. Select words from the Vocabulary section or historical figures from the People section. 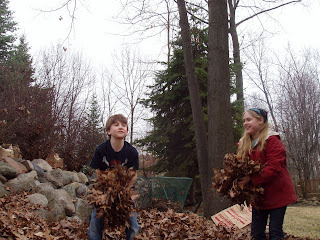 Games and art projects can be added for hands-on activities or time-lines developed. Once started, the curriculum will seem less overwhelming. My first step was to download the product. Overall, the download of the Unit went smoothly. I had a glitch with printing, but found the technical support to be responsive. My 9-year-old son, who would be considered in the Upper Grammar level, gave TOG a trial run for me. I was fortunate to have a couple of the suggested reading titles on my shelves. Through the library's inter-loan system, I found several more. However, not finding particular titles and having to wait for materials to come in was a little frustrating. Getting materials took much more planning than I anticipated. Someone a bit more organized could purchase important titles and create a better system for requesting library titles in advance. But, alas, organization is not my strong suit. In the introduction materials for the teacher, it is recommended to create a schedule with your student at the beginning of the week, perhaps even having them set the daily schedule with the teacher-given weekly assignments. However, I didn't feel that my son was quite ready for self-management at this level. Instead, I gave him daily reading assignments from the selected titles and had discussion afterward on what he read. This worked better, but required further planning on my part. For the younger set, hands-on activities, e.g. making a salt map or playing a related game, and leveled writing activities are provided. However, the real meat of the program seems to be for the older set through discussion using the Socratic method. In fact, it is advised that this curriculum is best suited for families whose oldest child is at least 5th grade. I have to concur, as it seemed much of the value was lost using it with just one Upper Grammar child, though there are some circumstances where this may be favorable as will be discussed. I actually liked the Evaluations CD. Evaluations is provided for the parent that needs a bit more structure in the program and as review for the student. Included are option tests, quizzes and other evaluations for each Unit. Overall, the curriculum just didn't work well for our family. I liked most of the title suggestions and certainly felt there was plenty of substance. My son didn't mind the reading material. However, there were several factors working against this being successful in our home. I am not a classical homeschooler, but rather eclectic and relaxed. I'm not that organized. My fly-by-the-seat-of-my-pants style wasn't well-suited for TOG. I only have two students, one of which is not yet independent and needs quite a bit of overseeing. Digital products, especially of this magnitude, are not something I embrace. For our personal circumstances, I found this curriculum to be costly. I tend to focus more on the 3Rs and spending this amount on humanities did not fit within our budget. My small family and eclectic style did not justify the cost. However, this is my home and not yours. TOG is a product many love and I can definitely see the attraction. Who would like this product? First of all, you really need to be a classical homeschooler to fully appreciate this curriculum. That isn't to say that those using another method won't get anything out of it, but someone not dedicated to this methodology may not get the full benefit of TOG. Also, each Year is intended to be used by the student four times throughout their school career, based on the trivium. It is meant to be revisited, each time at a new and deeper level. I view TOG as a curriculum on which you make the foundation of your homeschool journey, not something you inject and hope for the best. Large families will get the most out of the TOG design. If you have students of all ages, K-12, TOG is an excellent way to pull the studies of all your students together with one curriculum. All of your students, regardless of level and age, can study the same time period and even work together on various projects. While I was overwhelmed with the planning for one student, I can certainly see where the pay off would come in if you had multiple students in your family working separately. For families with gifted students, who tend to be asynchronous in abilities, TOG may provide a solution by offering various levels from which to choose within one curriculum. For example, a student who has a large discrepancy between reading comprehension and writing ability can easily be accommodated by selecting the higher level readings but lower level writing assignments. Lastly, parents who like to plan and customize the curriculum for their students will appreciate the options of titles and the flexibility TOG provides. Those who are organized will do better with this curriculum. Tapestry of Grace is a meaty, Christian, classical, literature-based curriculum that is sure to be just what some families need in their homeschool. Families that fall within any of the above categories who are interested in trying TOG will want to try it before they buy it and download the free 3-week sample. Another offer you'll want to take advantage of is a free Map of the Humanities download. There are also forums available to ask questions and get information. Browse the Tapestry of Grace website to find our more and see other products offered at the Lampstand Store. 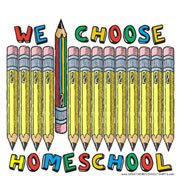 To see how Tapestry of Grace works for other homeschools, read more reviews at the official TOS Crew blog. This year's spring convention came at a perfect time for me. I definitely needed some uplifting about our homeschooling. It would take some very unusual circumstances for me to put my kids in school, but it's usually around February or March that I start having visions of flagging down the big yellow bus and letting them know they have a two new passengers. When the email blasts about the Midwest Homeschool Convention in Cincinnati started circulating, I decided it was in the best interest of my kids that I get myself there. Even though this is our 7th year homeschooling, I've only been to conventions a couple of times. The first was several years back at a very small local conference. There were a handful of speakers, but I mostly just shopped. Last year I went to Cincinnati and saw what a real convention was all about. Oh my! Talk about information overload! So, I headed back this year with a friend and our two 12-year-old daughters, who wanted to attend the new TeenTrack offered. We arrived Thursday from our 5-hour drive around 4 pm only to find the hotel registration line wrapped around the lobby. I ended up taking the girls and some of their friends to their workshop and coming back. We finally were assigned our room, rode the elevator up to the 20th floor, only to find one bed! After a room switch and missing the first session, we headed over to the convention. My favorite speakers were Mark Hamby and Carol Barnier. Hamby will have you crying uncontrollably and Barnier laughing hysterically. The TeenTrack, put on by Summit Ministries, was well done. My daughter especially liked hearing John Stonestreet speak. However, her favorite workshops were by Victoria Kasten (a teen author) and Little Bear. One of the highlights of the convention was when I was able to meet up with some of the other TOS Crew members at the The Old Schoolhouse booth. It was wonderful to meet these great ladies in person. One of the things I always dread about going to conventions is the impusle buying. I actually didn't do too bad this year and most of what I bought was on my list. I thought I had the DVD set at home, only to find out it is the Zeta I have. I hate paying shipping charges! Now I'm on the hunt for the Teacher Manual/DVD used. Not only am I sucker for no shipping charges, but discounts as well. My daughter needs these for her fall Apologia Marine Biology course and they were offering a 10% off convention special. So, I purchased these thinking I'd save $4.40 plus shipping only to remember after purchase that I was getting charged sales tax! I saved a whopping $1 and some change! I wanted to get the dissection kit as well but they didn't carry it at the convention. My daughter picked out this design for herself. I must say it suits her well as she's always going against the grain. For my son, I picked out an eagle design that says "Homeschool Varsity". This DVD was my impulse purchase. I went to a workshop by Martin and just knew that my son would love this DVD. Dr. Martin is genuine and quirky, making for an enjoyable workshop! If you ever get a chance to hear him speak, go! This is by the teen author whose workshop my daughter, an aspiring writer, attended. My daughter thinks she and Victoria are somehow related as they have very similar goals! She hates math also! I've started reading this book out of curiousity of what other homeschooler writers were doing. Just a warning...it's for older kids. There is a short premarital s*x scene! Lastly, I purchased the Summit Ministries Lightbearers curriculum for worldview studies. I can't seem to get a pic loaded, but you can read about it and see a picture here. This wasn't exactly an impulse purchase, but it also wasn't something I was intending to purchase a couple of weeks ago. It was also my most expensive purchase. That's a story that I'll have to save for another post. Before leaving, I picked up numerous recordings of workshops that I either missed or attended and wanted to listen to again. Mark Hamby was high on my list of repeat listening. I missed one of Jay Wile's workshops on homeschooling through high school that I heard was excellent. Needless to say, I now have several hours of listening inspiration to pull out when needed. Mary Hood, one of the speakers, talked about her book on reasons to homeschool. The title of the book is Onto the Yellow School Bus and Through the Gates of Hell. 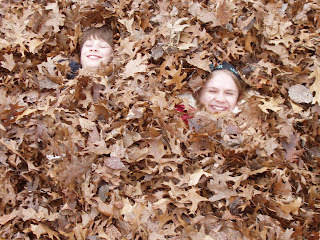 We homeschool for a variety of reasons, but that title was enough to make me stop and pause before thoughts of flinging myself in front of the yellow school bus just because I had a rough day. Overall, the Midwest Homeschool Convention was fabulous. 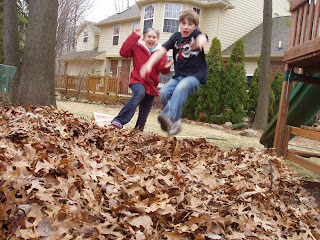 It gave me an attitude adjustment and affirmation that home is where my kids need to be. With all the wonderful resources available for homeschoolers, I have a hard time resisting sampling them all. 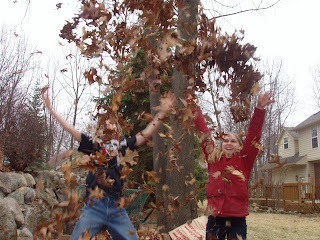 This curricula gluttony tends to result in me changing things up in our homeschool each year. On occasion, however, I find a resource that I love so much that it curbs any desire to keep looking. Why search any further once you've found your ultimate comfort curriculum? Apologia falls within that category. Apologia is no stranger to the homeschool market and is well-respected as a Christian publisher of science curriculum. I was sent two texts for review, Zoology 1: Flying Creatures of the Fifth Day and Exploring Creation with General Science. Because I have experience with the Exploring Creation with Biology text, I will include my thoughts on that course as well. Zoology 1 is part of Apologia's Young Explorer Series for elementary students, authored by Jeannie Fulbright. This series approaches science with the classical and Charlotte Mason methodology. There are five texts in the Apologia elementary series, three of which cover zoology. The first of the zoology texts is a study of flying creatures: birds, bats, flying reptiles and insects. The content is broken down into 10 chapters, each being approximately 15-20 pages. There is enough material to last an entire year. To see the depth of the coverage of the text, view the Table of Contents. Many might shy away from a textbook format for a elementary science curriculum, but I assure you the Young Explorer Series is not dull and boring. Multiple photographs and colorful graphics are on nearly every page. The activities and experiments, which use household items, are fun. There is no bogging down with tests and fill-in-the-blank questions. As with other Apologia texts, Jeannie Fulbright talks directly to the student in a casual manner, guiding the student through the material. This personable style makes science very approachable and increases interest. One of the very first projects is for the student to create a scientific notebook to record their thoughts and findings. Throughout the chapters, students are requested to record information they've learned into their notebooks. Narration exercises and experiments are also included. Scientific thought and observation is emphasized in the activities, encouraging critical thinking, logical ordering, and retention. While I had been considering this elementary series for some time, my first exposure to it was for this review. I must tell you, it received a very excited welcome when it arrived. Upon seeing it, my 9-year-old son literally dropped his pencil, grabbed the book from my hands, and ran down the hall to curl up on my bed with our cats. He was completely enthralled. With the lessons broken down into several page increments, daily work was very manageable. I sometimes read the lesson aloud, but often times had my son read on his own and reported to me what he's learned. It has been a good balance and a nudging towards independent learning. We have set up bird feeders and purchased a bird guide specific to our area. Identifying the different species coming into our yard has not only been a source of excitement, but also training for an observant eye. I feel the text is better suited for the mid-upper elementary grades. 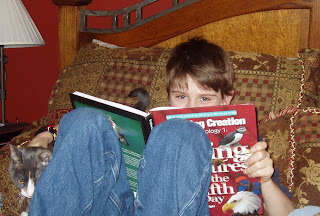 However, if you have multiple students in the elementary ages, Apologia's Zoology 1 would be a very good choice to coordinate the science studies of both older and younger students. 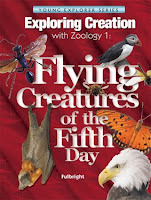 We'll definitely continue with Zoology 1: Flying Creatures of the Fifth Day and look forward to the other texts in the series. To view a sample lesson from this text, click here. 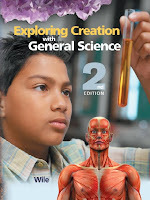 Exploring Creation with General Science, authored by Jay Wile, is considered the first of Apologia's junior high and high school texts and a systematic introduction to the sciences. The content covered touches many areas of science and gives a broad overview to set the stage for further study. The text starts out with the history of science and the scientific method and then explores multiple science disciplines such as biology, geology, human anatomy and more. Click here for the Table of Contents. As with the elementary texts, the pages are filled with photographs and graphics. The text is broken down into 16 modules, each designed to take about two weeks to complete. Within the modules are "On Your Own" questions and experiments. The simple experiments, 52 in all, use common household goods. The "On Your Own" questions are given in small quantities at a time, meant to be completed while reading the module. At the end of each module are Study Guide questions that cover the complete module. In an appendix, there is a Module Summary for further review of each module. Answers to the "Own Your Own" questions are in the text for the students to correct their own work. A softcover Solutions and Tests manual that contains tests and answers to both the tests and module summaries accompanies the text. My daughter used this text last year. 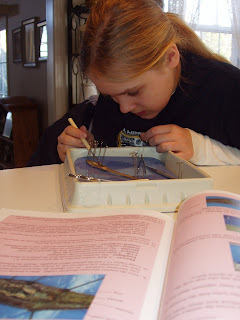 While she had been exposed to many science topics through books, short-term studies, classes and workshops, Exploring Creation with General Science was the first time I used a comprehensive program for the entire year. It was also my daughter's first exposure to tests, in-home labs and lab reports. In a way, General Science pulled all her previous science experiences together for a big picture view and preparation for more rigorous study. Academically, it is a solid program. We do annual standardized testing and the year we started Apologia my daughter's already respectable science scores took a leap. More importantly, using this text created a spark and newfound interest in science with application towards real-life issues. I'll never forget the day my mother and I were having a discussion regarding vaccines and my daughter jumped in, explaining exactly how vaccines work, including using all the appropriate scientific terminology. What followed was a very lively and intelligent discussion on vaccinations and a very wide-eyed grandma. I would highly recommend Exploring Creation with General Science as a formal junior high level science program. It is a comprehensive course that leads the student to scientific thinking, all in a conversational and non-intimidating manner. You can see for yourself by viewing Module 1 in its entirety here. The full course is available as a text or on CD-Rom for those who prefer a computer format. 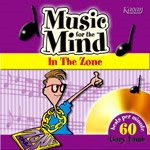 Supplemental resources of a MP3 audio CD of the text and Multi-Media Companion CD-Rom are also available. Exploring Creation with Biology, also authored by Jay Wile, is the first in the sequence for Apologia's high school program. The set-up, layout, and available supplemental materials are identical to that of Exploring Creation with General Science as well as the other junior high and high school texts. There are 16 modules in all and 32 labs. There are three types of labs in this text: household labs, microscope labs and dissections labs. Apologia considers the microscope and dissection labs to be optional. However, if you plan to use this course to fulfill a high school lab science credit, 2 out of the 3 types of laboratory exercises must be completed. I highly recommend requiring your student complete the dissection labs in addition to the household labs, regardless of whether or not you are using the course for a lab science credit. Don't let in-home dissections intimidate you! A dissection kit will need to be purchased, which includes the four specimens for the labs. The kit can be purchased directly from Apologia or from Nature's Workshop Plus!, Apologia's equipment supplier. I would also highly suggest a microscope and slides be purchased if it is affordable, as their use does add quite a bit to the experience and the equipment can be used for future classes. Check homeschooling swap boards and auctions sites for used microscopes at considerable savings. Be sure to review the microscope requirements for the course before purchasing. My daughter is using Exploring Creation with Biology this school year. As with General Science, it has been easy to use and makes science a subject to explore rather than fear. 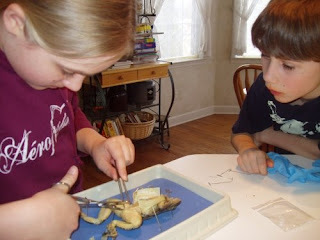 I was a little concerned at how my daughter, who can sometimes be squeamish, was going to handle the dissections. I needn't have worried. All of the dissections have gone smoothly. The text provides detailed instructions for the dissections that my daughter could completely follow on her own. Again, Apologia's Exploring Creation with Biology is an excellent choice for a beginning high school science course. It is easy to use, even for those parents who fear teaching science, and is directed to the student for independent learning. Both my daughter and I have been very pleased with the content. You can view a Table of Contents here and Module 1 here. Apologia is a very solid program, but you will need to supplement the curriculum if your student intends to take the AP Biology exam. While evolution is covered, it isn't covered thoroughly enough for the AP exam and there are other requirements needed to label a course AP. For further explanation, visit a message board exchange here. You'll also find other support information at the above linked message board. Apologia has a full line of high school level texts available, from beginner to advanced. You can view their recommended time line of courses available here. The mission of Apologia is a commitment to help the homeschool community "learn, live, and defend the Christian faith". All of Apologia's materials are from a Creationist standpoint. In the elementary texts this is more obvious and opposing views are not discussed, presumably because of the intended age for this series. The junior high and high school texts, however, do not shy away from addressing evolution while still maintaining a Creationist stance. Furthermore, the information is presented in an intelligent, non-confrontational and non-offensive manner. I believe Apologia is successful in standing firm with "gentleness and respect". The approach Apologia takes on this subject is very highly appreciated by me. I want my children to be educated on what most of the scientific community believes to be fact. Knowing the arguments of both sides only strengthens personal beliefs and enables students to speak intelligently about the issues. By the junior high and high school age, students should be grounded enough to address the topic in-depth and I respect the approach Apologia takes with this topic. The student is not left blind to the arguments, but is also given scientific evidence for the truths of the Bible. I feel very strongly about sending my children out into the world grounded in their beliefs, knowing what they believe why they believe it. The support materials available for Apologia, both free and for purchase, is phenomenal. Each course has a special website (the password is provided in the text) that contains web-based materials related to the course. Schedules and study materials can be found at www.donnayoung.org. Various Yahoogroups offer wonderful advice from other Apologia users. In fact, Jeannie Fulbright, author of the elementary series, frequents the Elem_Apologia_Science Yahoogroup and is available to answer questions. There are many supplemental products, such as lapbooks, available from various suppliers. If you are wanting full support and more structure for your junior high and high school student, ApologiaAcademy is opening this fall with registration now open. Weekly online live classes, exams, required formal lab reports and a guiding teacher will bring maximum learning and provide an outside assessment and grades to use for transcripts. For the last two years, my daughter has participated in classes with one of the Apologia instructors; it has been a rewarding experience and brought more discipline to her studies. Visit the ApologiaAcademy website for more information, including sample classes and a 2009-2010 Schedule of Courses. 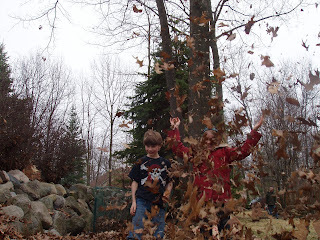 Apologia has become a favorite addition to our homeschool and I have recommended it to many. Apologia corners the market with a Christian science curriculum that is not only solid, but very approachable. Whether you have a student who loves science or is perhaps a little intimidated by the subject, this is a program to investigate if you are looking for a formal science curriculum. Visit the Apologia website for more information and read more reviews at the Official TOS Crew blog. I have recollection of only one history course from my school years – World History. The teacher, who thrived on her position of power over teenagers, opened up the first day of class with, “This is an honors course and most of you won't pass.” I swear I detected a sly grin and heard a muffled muah-ha-ha during the statement's delivery. Ms. Tormentor's idea of a challenging class was to drone on at the blackboard and force us to memorize a chain of dates. I did pass, but learned nothing in the process except there is an art to sitting to avoid a head making contact with the desk if one might happen to doze off. It makes for a rather abrupt and embarrassing awakening. Ask me how I know. My perspective on teaching history to my kids has been a mixed bag. I don't necessarily consider history essential to the academic big picture. (Is that a gasp of astonishment from a large segment of the homeschooling population that I hear?) After all, history knowledge isn't measured on standardized or college entrance tests and I've done just fine in life with with a pathetic history education. However, I'm determined that my children should have a better experience studying history than I. I do see its importance in understanding our world today and into the future. Studying history, if done correctly, is an exercise in analysis and critical thinking of past and present and much more, which you'll soon see. I've leaned towards literature-based programs and steered clear of anything that involves memorizing dates and filling in blanks in workbooks. There are some great literature-based history programs out there. How I would have loved to learn history outside of a bulky and boring textbook. However, I've found that most of the meaty programs are highly scheduled and take mass amounts of time in our day. While I'm not opposed to adapting programs, I often feel hopelessly behind with all those unchecked boxes. Fortunately, I've found in TruthQuest a Christian literature-based history curriculum that is of substance yet adaptable enough to make it your very own, without feeling inadequate. TruthQuest, authored by Michelle Miller, offers history guides from the ancients to the present for grades 5-12. For younger grades, there is also have a series of American history guides. 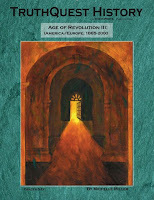 I received the Age of Revolution III: America / Europe, 1865-2000 to review. Miller starts out with a very clear distinction that this curriculum is not the history study that we adults remember and is on a completely different plane (yeah!). First and foremost, TruthQuest does not approach history as the story of mankind, but of the One who made mankind. It is HIStory, God's initiation and our response. To learn a bit more about Michelle Miller's perspective on teaching history, listen to her speak in the audio presentation of yrotsiH: Do We Have it Backwards? So, how do the TruthQuest guides work and how do they differ from other history programs? The first thing I noticed was there was no schedule (double yeah!). What I did see were extensive book lists, listed chronologically and sectioned in categories, preceded by what appeared to be an introduction. Comments as well as cautions were included for various titles. While the guide is designed for grades 5-12, there were many listed titles for younger grades as well. At first glance the guide appeared to be a glorified reading list. How is this different from looking up the many topical book lists available on the internet and elsewhere? The primary difference is in the “introduction” of each category. What proceeds each section is a full commentary, a setting of the stage for the proper frame of reference. Miller explains not only what was happening in the time period, but the thought, perspective and heart of the people. With the appropriate axiom, that God is the prime force in the universe, students then work though the book lists to flesh out the commentary, viewing history as man's interaction with God, not as man's interaction with himself. As I mentioned, there is no schedule to follow. That may bother some, but I enjoyed its absence. If an interest in a particular topic is piqued, the student can linger. Conversely, some topics can be skimmed or skipped entirely. There are far too many books listed to read them all, which lifted the self-imposed expectation to cover everything. The idea is to pick and choose what suits your family best. For those who need just a bit more structure, titles that could serve as a "spine" for your study are suggested. Aside from reading, enjoying and soaking up HIStory, there are ThinkWrite assignments scattered throughout each guide to inspire students to go deeper. These questions could also be used solely as discussion questions rather than a writing assignment. The Age of Revolution III guide differs from the preceding guides with one large ThinkWrite assignment, encouraging students to analyze truths over the course of the entire study. The Appendix gives parents suggestions for what might be appropriate responses to the ThinkWrite questions. To give you an idea of what a guide might cover and how it looks, the below links pertain to the guide I received. I used this guide with my 12-year-old daughter. First, we would read the commentary together. Miller delivers the commentary with a conversational tone and sense of humor that my daughter thoroughly enjoyed. The commentary is more than an opinion or viewpoint. Instead, it is like a narrator of a story that interprets and provides meaning to what is happening, with the story played out through fiction and non-fiction titles. After reading the commentary, I'd assign titles based on interest and availability. Miller is clear that parents are not to assume the listing of a title is an endorsement. At the request from users to provide more titles, particularly more titles still in print, Miller has expanded the list beyond those titles she's personally viewed. If we happened to have a title on our shelves that wasn't listed, adding it to the mix was no problem and I didn't feel that I had to make room for it in the schedule, since it is my own schedule I'm following. My daughter appreciated the flexibility in both schedule and titles, which also included audio and film resources. Overall, TruthQuest fits our homeschool quite nicely. TruthQuest took something we were already doing, reading quality literature as a means to learn history, and made it more productive. My children love to read, including a lot of historical fiction, and I felt that they were learning quite a bit that way. However, it never really felt pulled together. Previous attempts to pull it together made me feel slave to a schedule that overshadowed other subjects. Just using available book lists without a guide didn't feel like enough. For us, TruthQuest has been a perfect balance of structure and flexibility while still delivering substance. I'm so thankful that my children need not experience the head-meets-desk approach to history from my school days! TruthQuest provides a truth-revealing approach to history that impresses upon your children that history is not man's story, but HIStory and our response. TruthQuest guides sell for $24.95 - $34.95. Visit the TruthQuest website to see a list of available guides, read about placement, see how others are using TruthQuest and more. Be sue read other the reviews on this product at the the official TOS Crew blog. Applications Now Being Taken for the TOS Crew! As promised, here are the details for applying to the 2009-2010 TOS Crew. I have to share that this year has far exceeded my expectations not only in the products I received but the sense of community of the Crew. I'm going to miss those Crew members who are embarking on brand new voyages, but also look forward to meeting the new Crew.